This basket is heaping large. To send the perfect gift is not always easy to do, so do it right with this Large Basket! 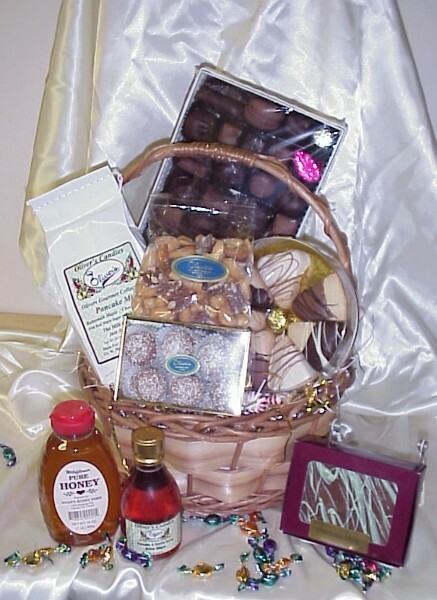 This basket includes: Assorted chocolates, creamy rich fudge, fresh roasted extra choice nuts, pure honey, NYS maple syrup, Caramel Apples and more! Note: Basket styles and products may vary depending on availability.